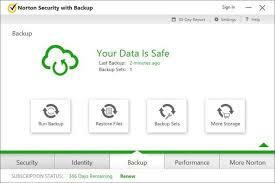 Norton Security Standard is the best protection for your PC, Mac and mobile device. When you buy the standard version you protect two operating systems and one mobile device. 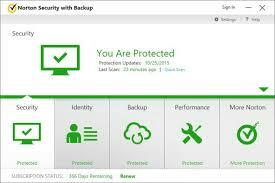 Norton offers complete protection for current and future malware, ransomware, and viruses. With Norton’s 100% Virus free guarantee you can confidently feel safe from any transactions you do across the web. Hackers will stop at nothing to get enough critical data and your identity. These attacks can come from anywhere and they are getting more sophisticated than ever. They build websites that can look like trusted sites as well as use very convincing emails to try to get their hands on your identity. With the rise of smart home networks, thee are weaknesses and vulnerabilities from anywhere. A breach can happen through your smart tv, Kitchen appliances, lighting and more. Norton Security Standard is your homes first line of defense. Norton trained security staff is ready to hear from you. Questions and technical problems can happen anytime and Norton is ready to help walk you through it. You get real-time help from real people to help you at any time. 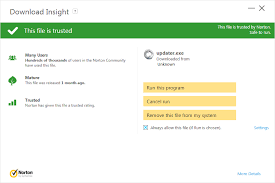 The great thing about Norton products is that if you are unsatisfied or your computer get’s infected you get a 100% guarantee. We are Virus-free or you get a full refund. 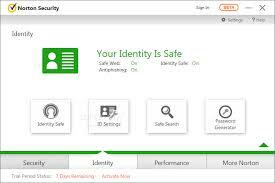 Norton is more than confident about the security system but if your device gets a virus you get a full refund.